Our Osteopath, Cranial Osteopathy, Sports, Pregnancy & Deep Tissue Massage clinic is only eight minutes away from Deptford SE8! Ideal for Deptford Residents in the Local Deptford SE8 area. We are just one minute walk from Outside Canada Water tube station. Directions from Deptford SE8 for our Osteopathy, Cranial Osteopathy, Sports, Pregnancy & Deep Tissue Massage clinic. *FREE consultation: Our fully qualified and registered osteopaths will assess which treatment is needed and discuss this with yourself. 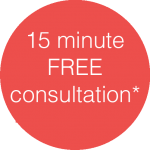 If you would like to proceed with treatment immediately after your 15 minute FREE consultation this is no problem as the time booked into the calendar will be 45 minutes in total. If you would not like a treatment after the 15 minutes FREE consultation this is absolutely fine and there would be no charge! © Copyright bodytonic clinic limited (8864448), London, Canada Water SE16 (SE8). All Rights Reserved. Covering Bermondsey, Deptford SE8, Surrey Quays, Rotherhithe, New Cross SE14, Peckham SE15 & surrounding areas.